Every year we spend time trying to figure out what the next summer is going to bring. 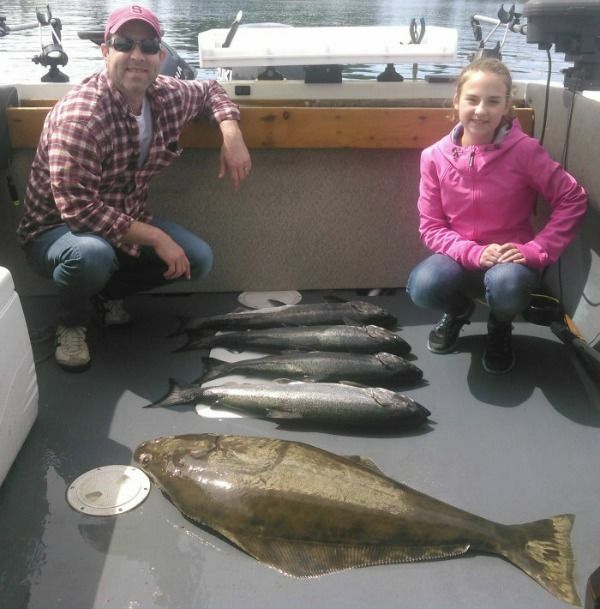 We look at the DFO forecast for local Vancouver Island rivers and of course the forecast for all the rivers south of us. Some years the forecast is inconclusive with some good projections and others mixed. This was one of those years. The Columbia River was projecting record returns again. DFO predicted the Fraser river to have better returns than the last couple years and they predicted the local Stamp River system and surrounding rivers to have slower than normal returns with around 25,000 Chinook. 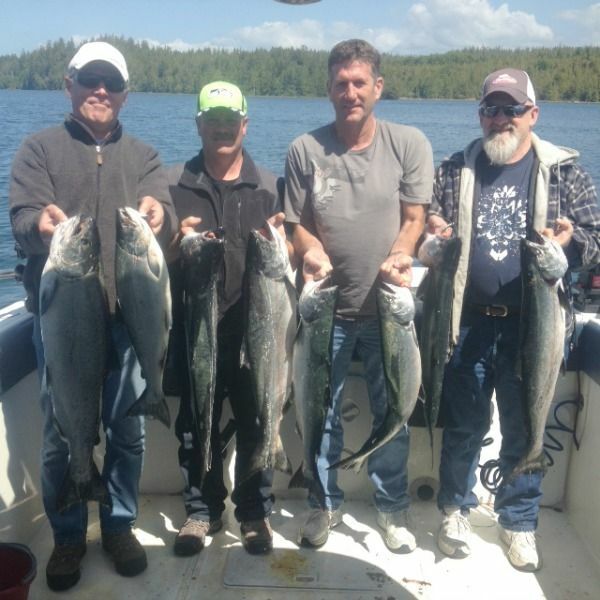 It is good to keep in mind that DFO is not as consistent with their predictions as our neighbours to the south and often to the detriment of BC sport fisherman. If they predict good returns usually we have great fishing. If they predict slow returns in March they may still upgrade the forecast as the early part of the run comes in during August or September. Sport fisherman often have a better idea of what is going to happen since they are catching the run before they hit the river. That is what happened in 2015. 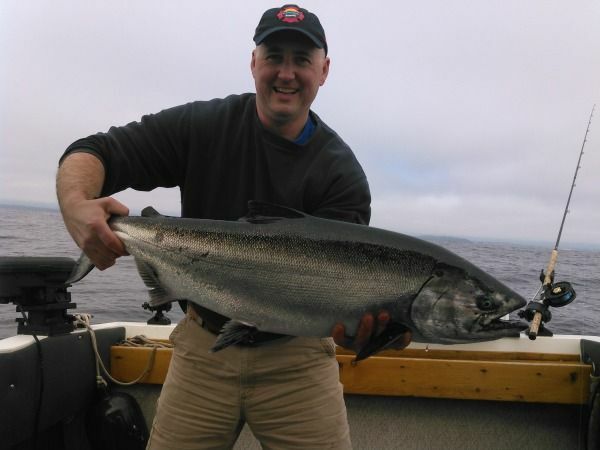 We knew we were going to have good offshore Chinook fishing since the Columbia returns have been exceptional the past few years. The only wild card for us in offshore fishing is what the ocean currents are going to do and where it would take the fish. 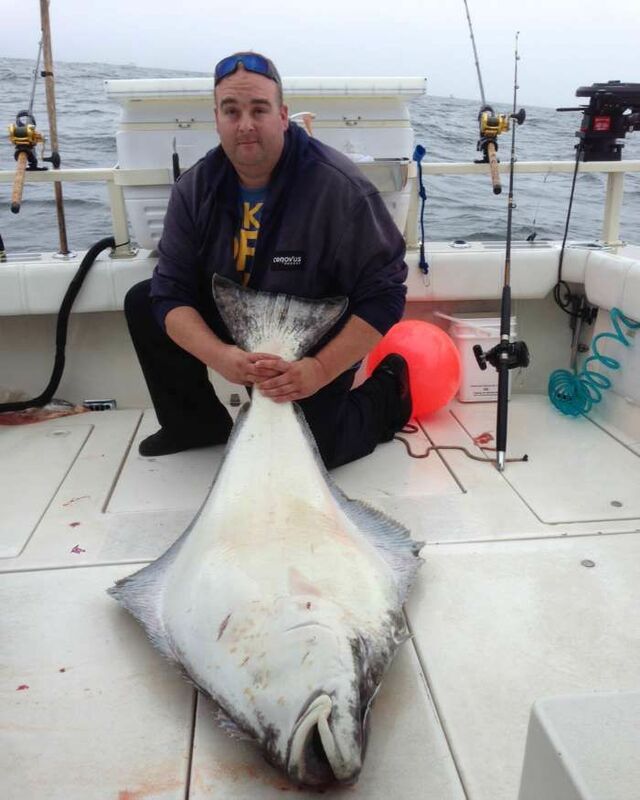 Normally it is very consistent offshore and recently the fishing has been better in close to shore as well and that trend continued in 2015. 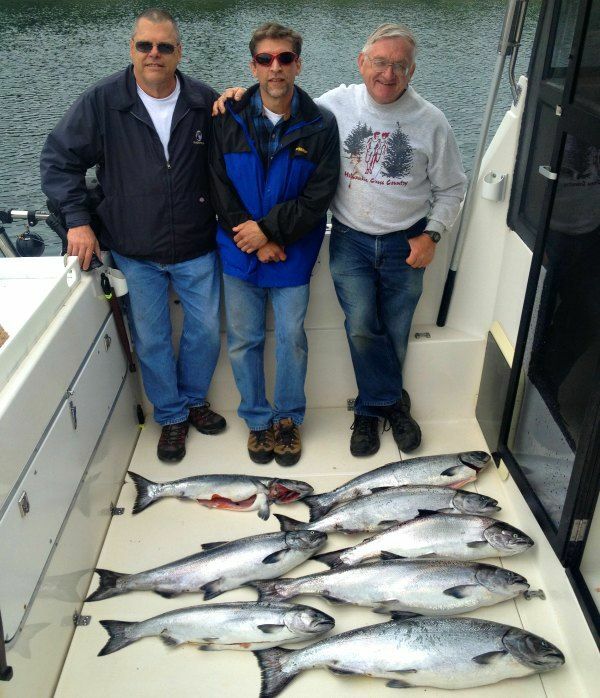 Big Bank produced well all summer and often for larger average size Chinook than we have had the past couple years. The Lighthouse bank was very consistent for most of July and into August. South Bank was not as consistent but we definitely had some good days there, often in timely moments when the weather made it the best choice. 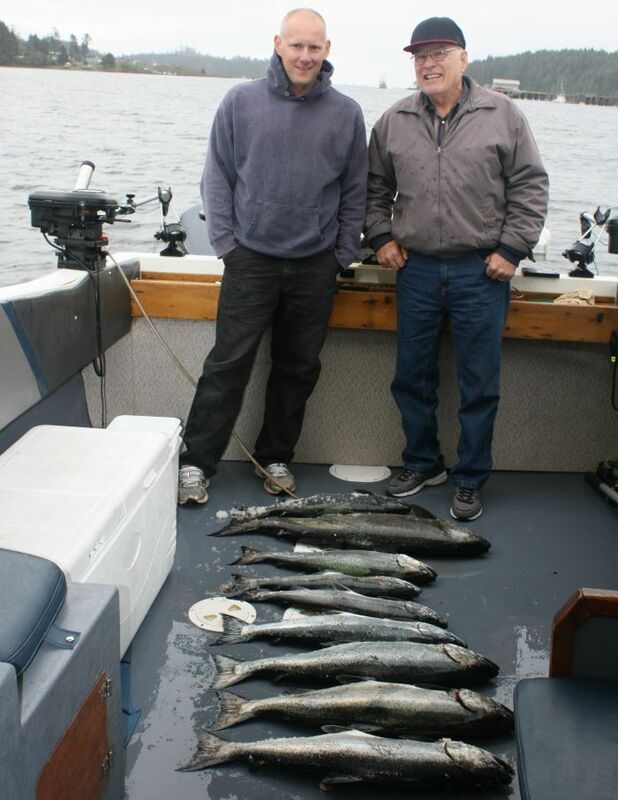 Fishing in close to shore around Great Bear, Florencia and Wya and Long Beach was good for stretches all summer long and up into late September. 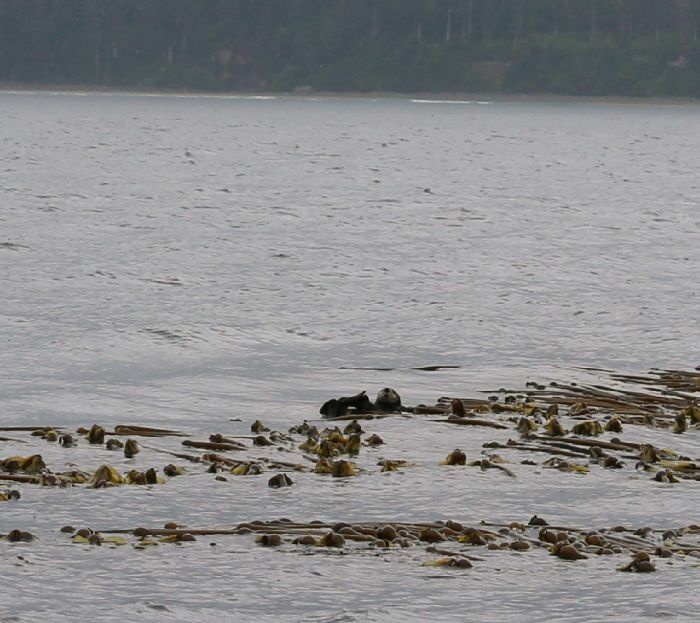 DFO finally raised their restriction of none over 77 cm in close to shore to 1 Chinook over September 1. 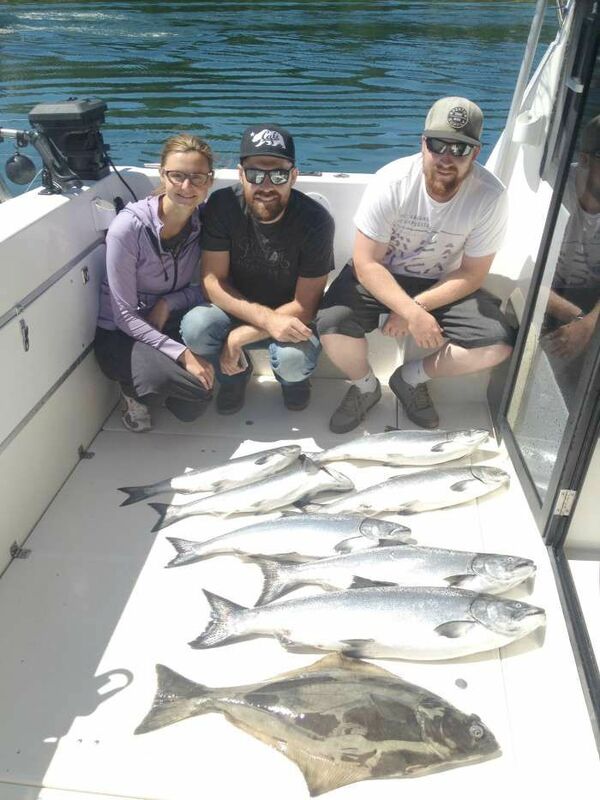 They also raised their forecast to over 60,000 Chinook to the local Stamp River system, however we were pretty sure the local runs were going to be stronger since we had strong fishing through most of June and July along the beach. 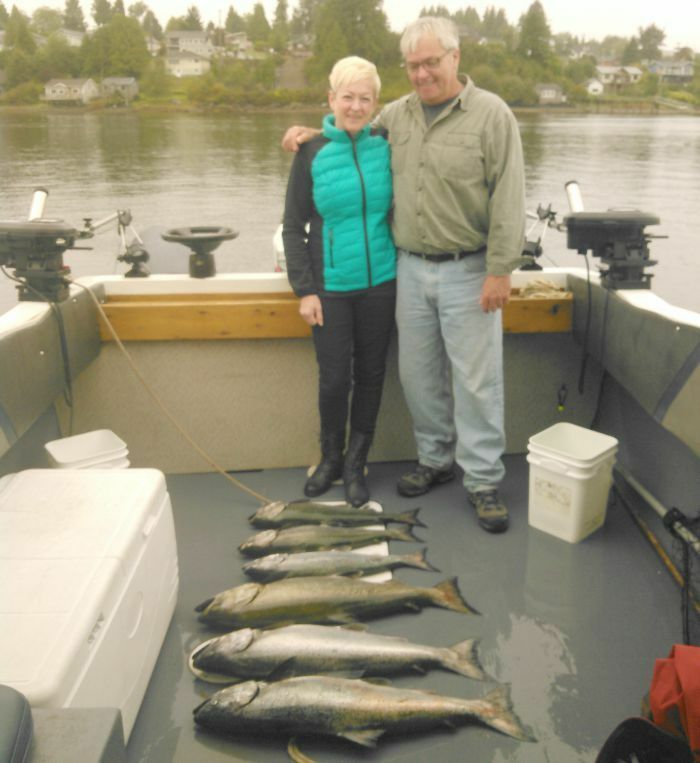 We want to thank all those who made the trip up to Ucluelet whether in your own boat or taking a charter with one of the local charter companies. 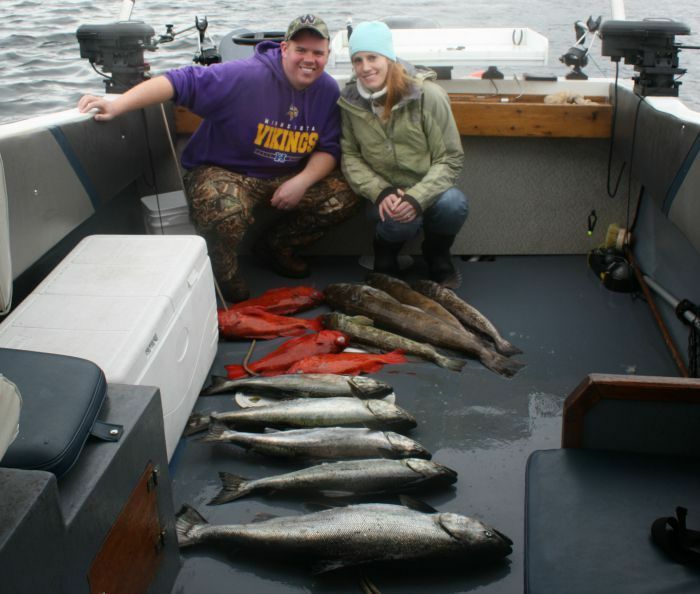 We had very consistent Chinook fishing and though the Coho fishing was slower than normal, the great Chinook fishing made the season a great success. 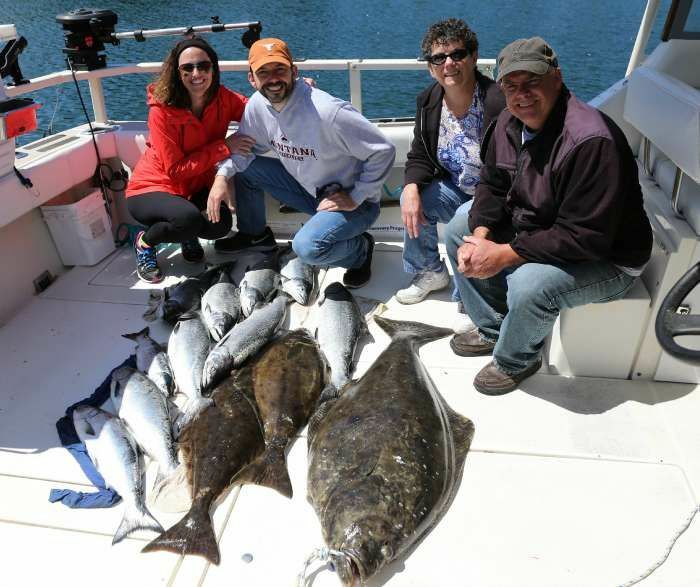 We don’t have the forecasts in for 2016, but are sure that you will have fun on the water. 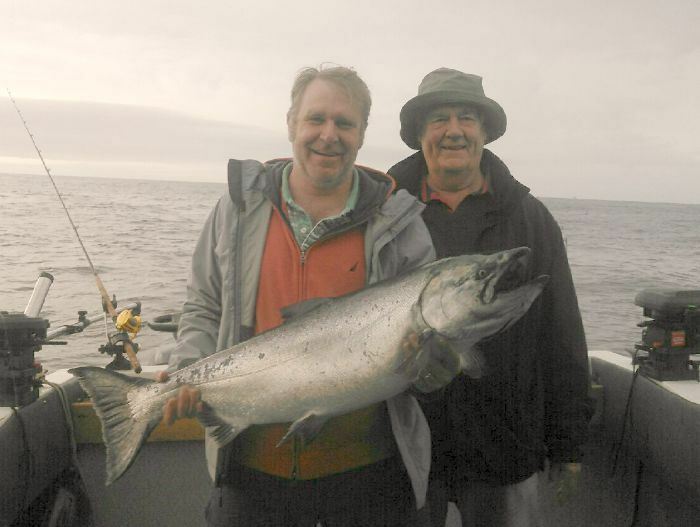 We hope to see some of you with us fishing Victoria this winter. 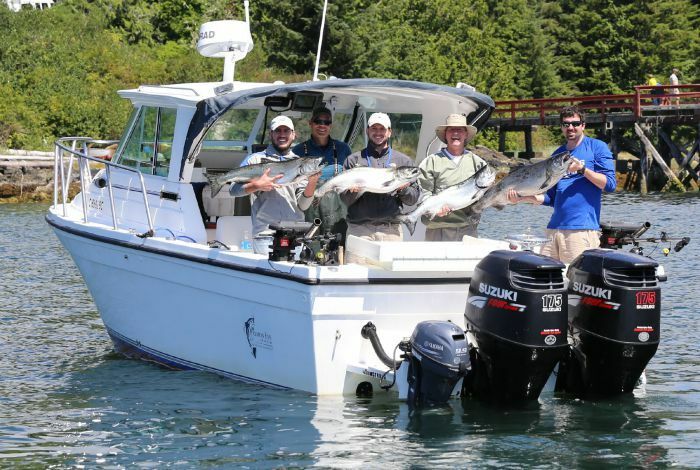 If you are coming out to Pacific Rim region next summer to fish make sure you check out Tofino-Info.com for all the best beaches and trails between Ucluelet and Tofino. We are also hoping to launch DiscoverVancouverIsland.com in December for the best kayaking, hiking, birding and wildlife information for Vancouver Island. 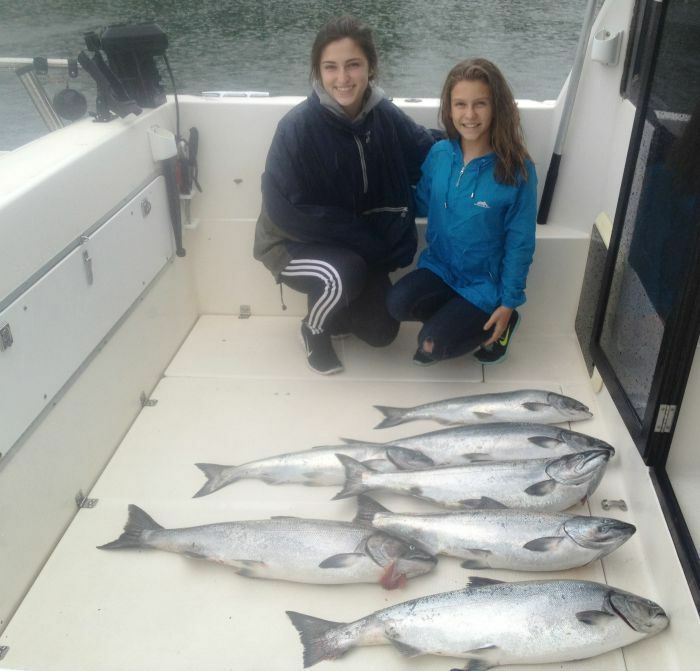 Pavel, Merideft, and Hanna May 19, 2015 with a few nice Chinook on short day. 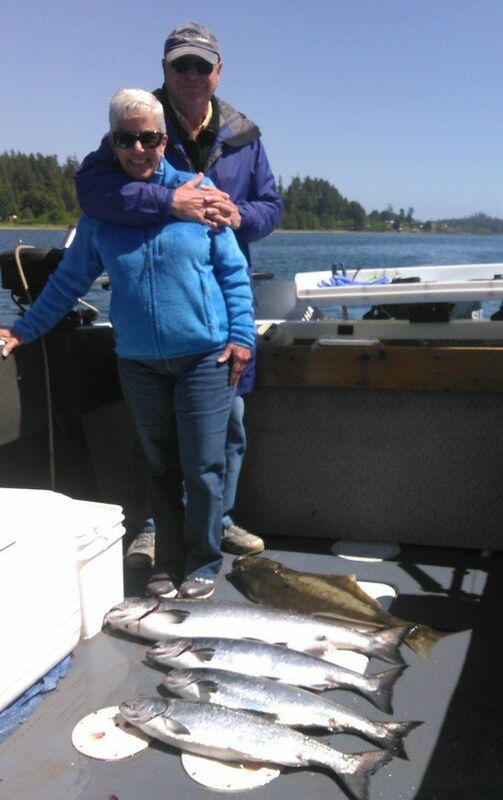 Sam and Muriel Tull June 9, 2015. 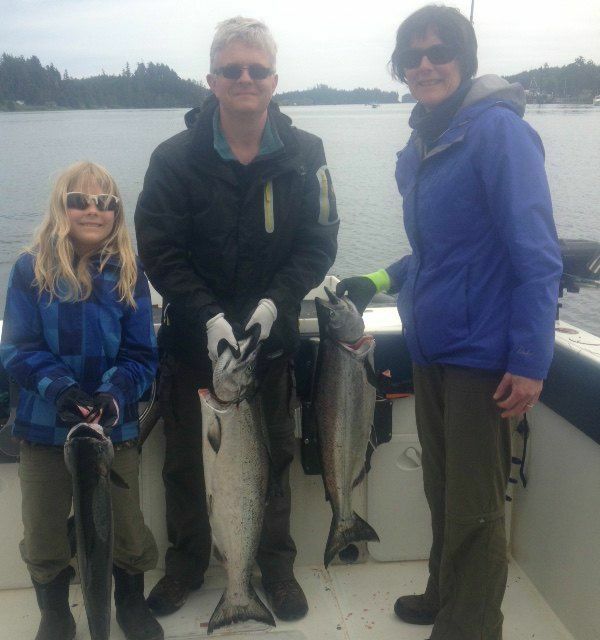 Lewis group showing off 4 of 10 Chinook caught at Wya point July 27, 2015. 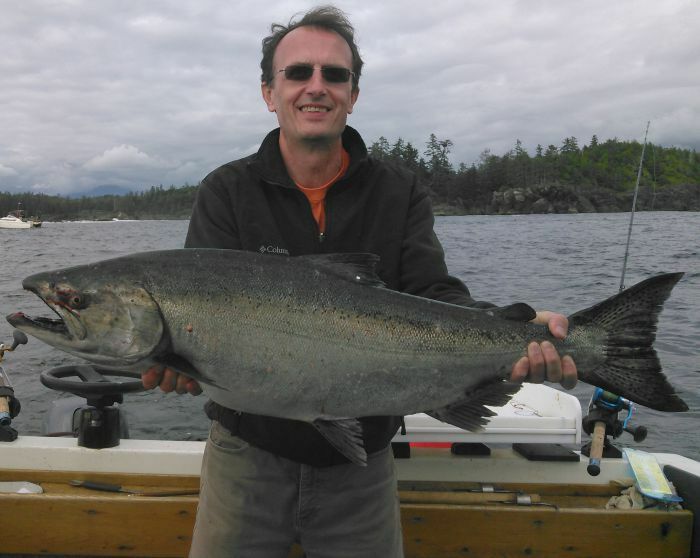 Congratulations to Jonathan Hines on his first ever Chinook weighing in at 33lbs. 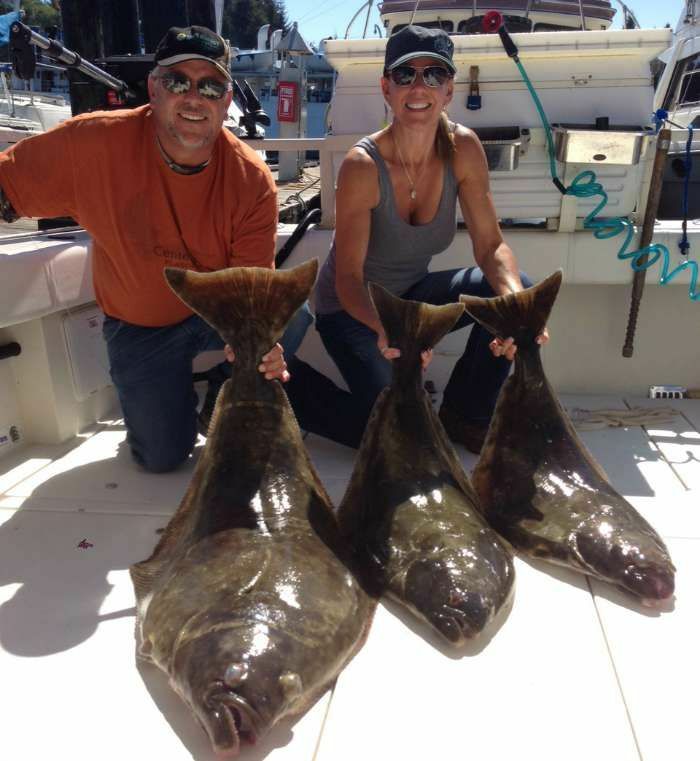 Jesse and Julie Prather August 18, 2015 with some nice halibut!